The Android 4.0 Ice Cream Sandwich source code tailored for Intel's x86 processors has been released, marking another twist in the ever-changing universe of the mobile landscape. Android-x86 is an open source project endorsed by Google, and the latest perk is that you can download the Android 4.0.1 build for trying out on an AMD tablet. Builds have been tested on gear like the Asus Eee PCs, the Viewsonic Viewtab 10, and Lenovo ThinkPad X61 tablets. Granted, Intel's silicon is far from ARM's frugality still, but it would be interesting what Chipzilla will come up with in terms of tablets, be it only because it will be rubbing it in the nose of Microsoft, which chose to out Windows 8 for ARM chipsets. Intel is also working on its Medfield chips for smartphones as well, so it might inject some competition against ARM, if successful. neat and all. but what would be the benefit? x86 apps are not compatable with ARM apps. Thats the whole issue Win8 is having with its tablets. Unless they are going to release a chromebook style thing filled with android where it compatable with PC apps and smartphone apps somehow.. i see zero benefit in this. well lets see whats inside ! Precisely, If pc apps worked with ARM windows 8, that would blow all competition away. Too bad it does not. IMO x86 is for stationary devices. ARM is more of the future on the go like goodness. 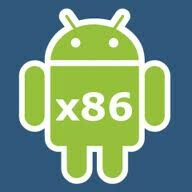 As a developer, it would be nice to do quick debugging of apps without having use the god awful slow Android Emulator.